Learn how people feel about the specific issues in your case with a Supplemental Jury Questionnaire. Personal experiences with specific issues are the most important and reliable forecasters of individual and collective judgment. That’s why we recommend the use of court-approved jury questionnaires. Two to three pages long, they are usually based on the results from focus group or mock trial research. 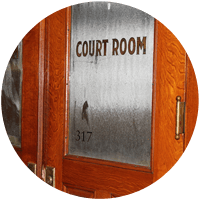 Better understand potential jury attitudes and reactions to your case issues. Ask the best questions. Gain the most useful insights. Learn more about the Advantages To Having a SJQ.